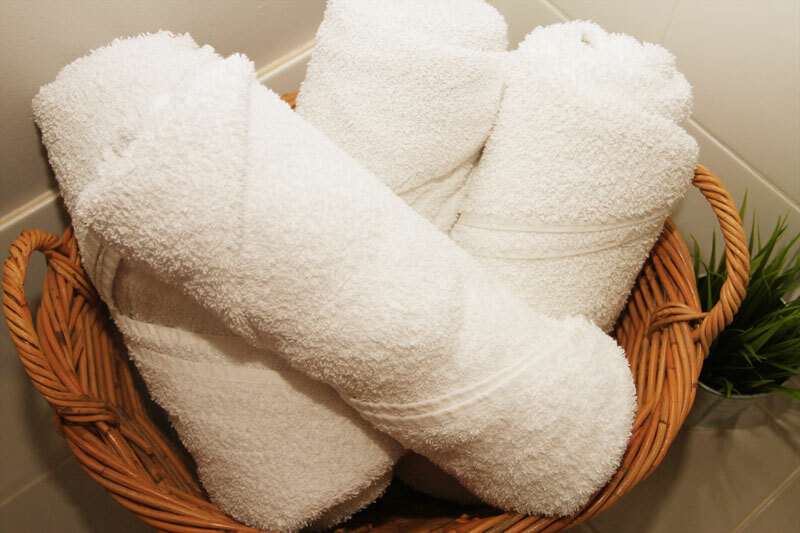 How awesome is that feeling when you’re on holiday and you’ve been out in the sun all day, you come home to a freshly cleaned room, walk into the bathroom and grab a beautifully rolled towel off the shelf and hop into a nice relaxing shower. Why can’t we have these luxuries at home. It’s very simple. 6 steps in fact. I don’t know about you, but I just love being super organised, and small bathroom hacks like this towel roll, makes me feel so good. It’s also a great little trick to have up your sleeve if you are in need of small bathroom organisation ideas, or if you have small bathroom storage and need to save space. If you’re looking for easy bathroom towel storage ideas for small or large bathroom organisation ideas, then this tutorial is for you. It’s a super easy towel storage solution for the ultimate bathroom hacks. 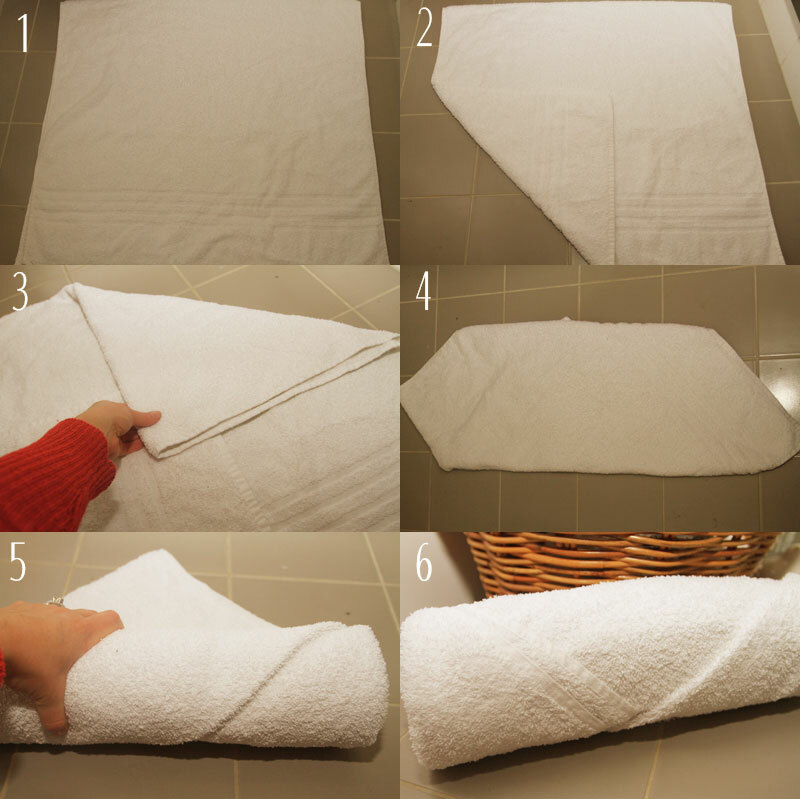 Roll your towel like you’re at a 5 star resort. STEP 5. start rolling from one end to the other, tightly. STEP 6. Well, actually, that’s it. Once you’ve rolled the towel, you are finished. Wasn’t that easy? 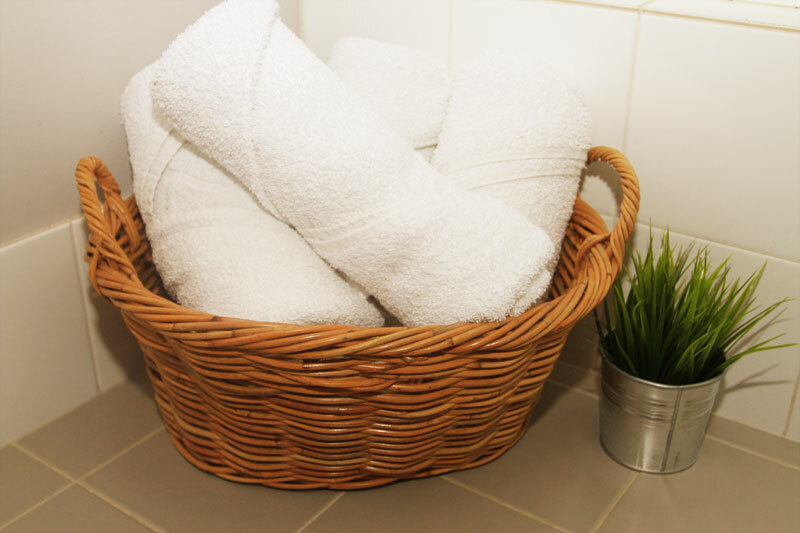 Place the towels on a shelf, in a basket or even your laundry cupboard. And enjoy your mini-getaway.